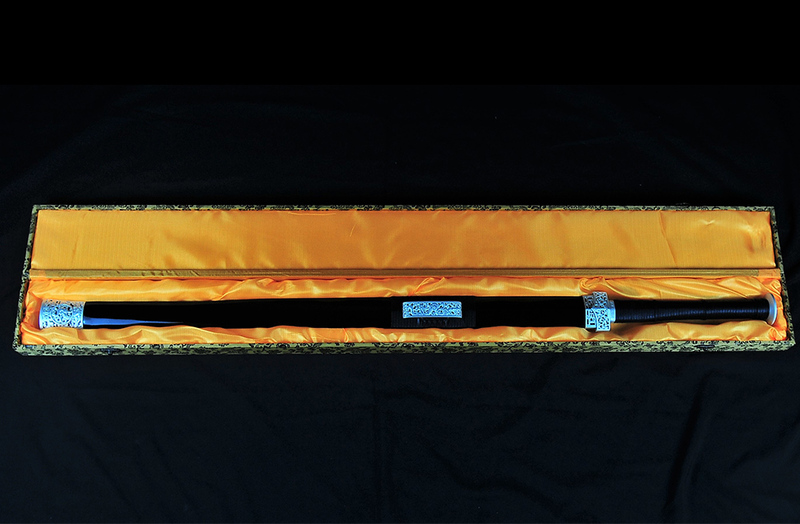 The Chinese were so ahead of their time that they had two handed swords nearly 1000 years before the West - and this Han Dynasty (221BC to 206AD) sword is a stunning example of how technologically advanced the ancient Chinese really were. 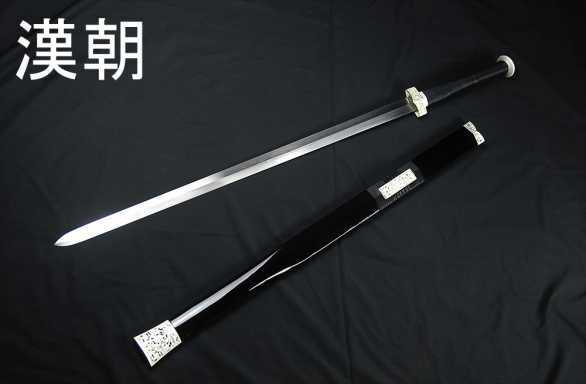 Designed to be used primarilty with two hands, but capable of being used with one as the situation dictates, these were versatile and powerful cut and thrust swords of truly amazingly quality, with these 2,000 year old designs pften featuring advanced lamination, folding and differentially hardened edges. 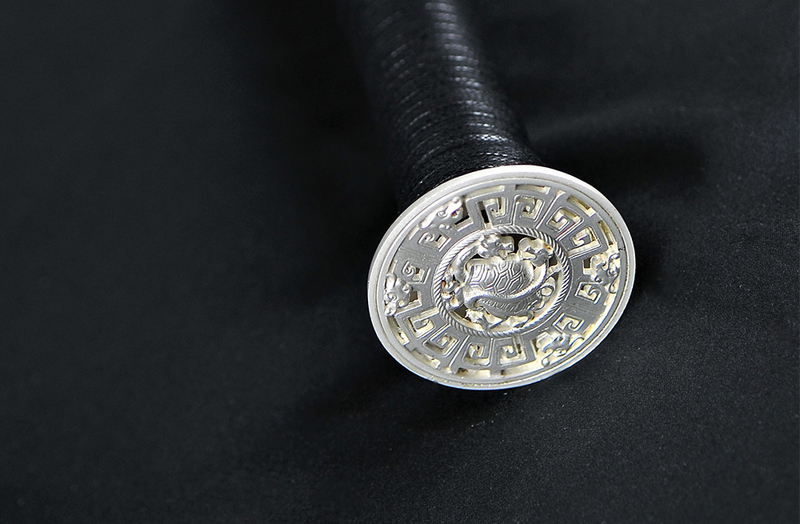 Here we reproduce a classic Jian of the Han period - taking a beautiful tempered 65 MN Spring Steel blade and mounting it in the typical style and fittings of the era. 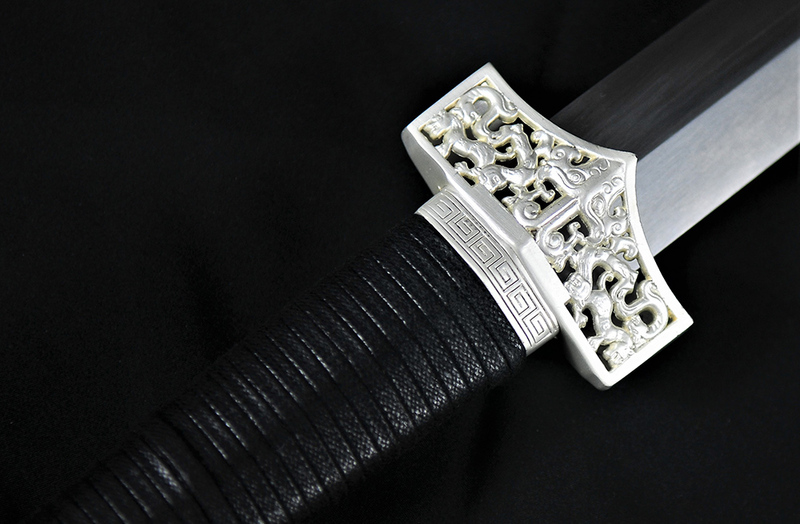 Not just a display piece, this sword is fully functional and an extremely affordable Han Dynasty Sword to tround out your sword collection - made available at a very modest price. 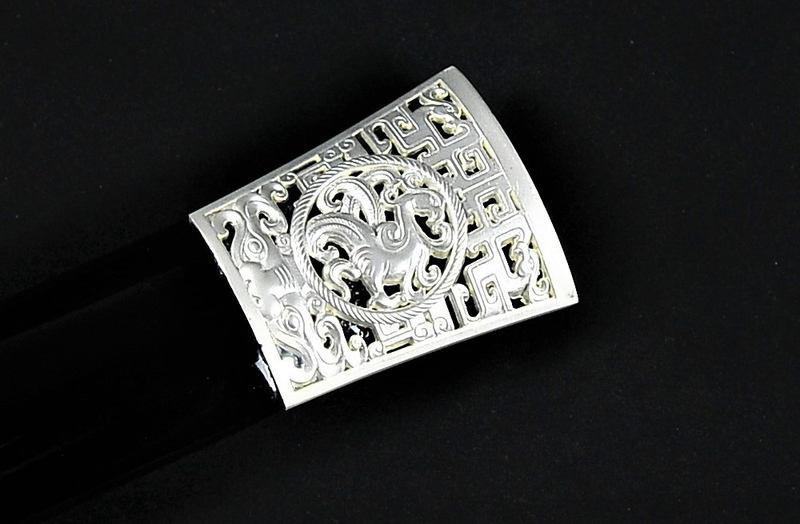 Includes a free sword display box. 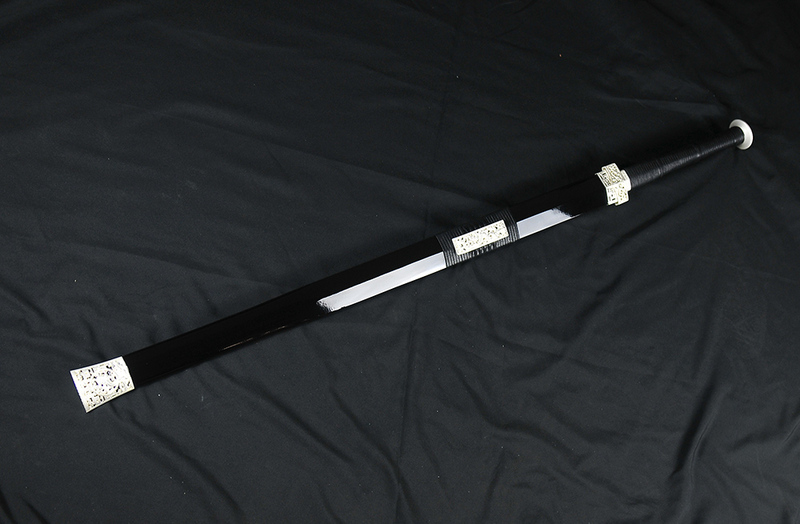 Overall (with scabbard) : 42" (inch) Overall (without scabbard) : 39 3/4" Blade length: 30" Handle length: 9 1/2" Weight(with Scabbard) : 2.3 lbs Weight(without Scabbard): 1.6 lbs Point of balance (from point to bottom of handle ) : 5 3/4"
65MN Spring Steel Hand Forged and Factory Sharpened Blade. 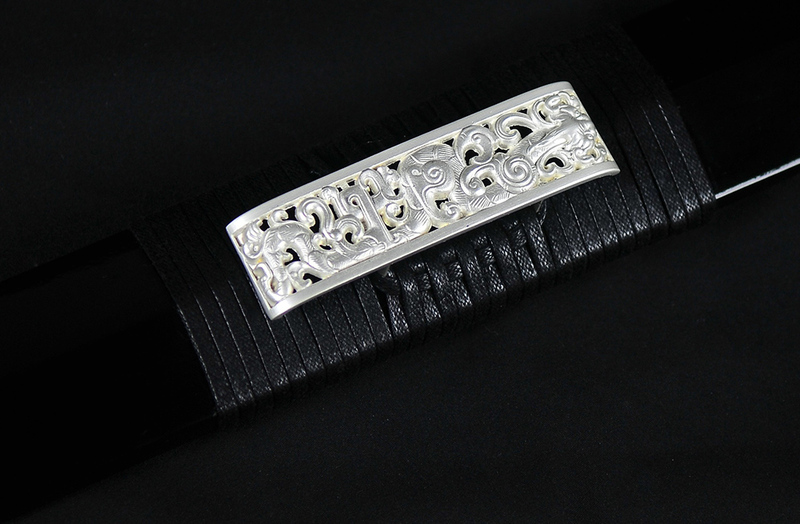 Wooden core scabbard, zinc aluminum cast fittings.